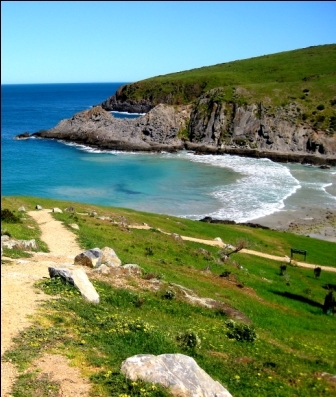 Deep Creek Conservation Park is just over 2 hour drive from Adelaide and is located at the southern tip of Fleurieu Peninsula. It is made of 5 campsites, all of which vary in their appeal, location and facilties. 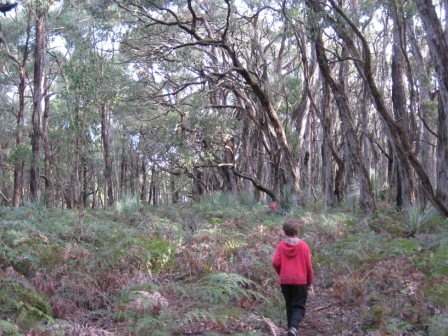 There are numerous walks to do, and some are appropriate for small children, such as those around Stringybark campground. As of July 1, 2015, you must book your campsite online. You can no longer just turn up and hope for a spot. To book a site at any of the campgrounds, you need to visit Parks SA website, and book. At Stringybark campground, there are flush toilets and showers. They are generally well maintained, and centrally located around the large number of campsites on offer there. There is drinking water on tap available as well and a mini camp kitchen (only for washing up). At Trig, the only amenities are drop toilets. They are of the more modern, but far from pristine, and only smell if there has been a large number of people using them over the weekend. Go on a quiet weekend and there is minimal odour but the smell is not so good on a Sunday if the sites are busy. No drinking water available, but there is a rainwater tank near the toilets, so you could use that for washing up or boil it if required. 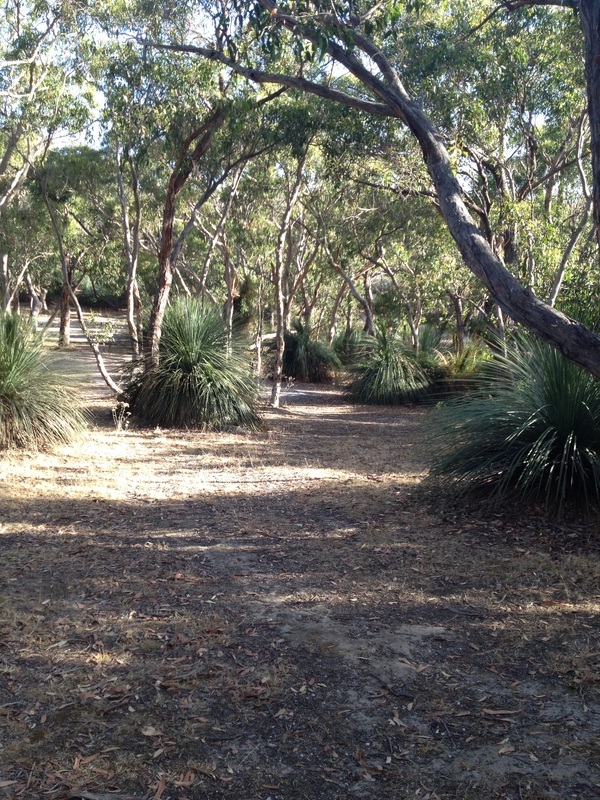 Stringybark has a number of campsites (around 16) and all are surrounded by the Stringybark trees and then on the outside of the camping area, stringybark forest, which is great for a walk. Though the sites are not dense in vegetation, there is enough space between the sites for privacy and spreading out. Most sites can accommodate caravans and trailers. The middle of the campground has a large grassed space which can be utilised by campers for a game of cricket/soccer or additional space for the children to run around. Every one of the campsites is very well shaded. On a cold day, you will be trying to get some sun on your site. It can also get very windy here, so prepare yourself accordingly!! The ranger station is close by, and this is a great spot at dusk to go and watch all the kangaroos feeding (though they will venture into the campground at times). There is a dam up near the station, so imperative that children are not allowed to venture close to this. It is outside of the campground area, but still close enough to walk to. This campground gets full very quickly, so if you are planning to visit, make sure you book ahead and secure a spot. All campsites are good there - just some will not be as level as others. Trig campground has around 25 sites, of varying size and not all would be suitable for camper trailers. Caravans would find this campsite even more limiting. There are locations for caravans within Trig, but you would need to choose carefully in getting the right one for you. This is more a tent based campground, with low hanging vegetation in places. The campsites are well screened from each other, and all have plenty of shade. Many are on slope of some sort, and you would need to position yourself carefully (or you could slide right out of your tent!). Looking at the Parks SA website, does not give this impression about the slope of some sites, but its definitely an issue if you choose the wrong site. Campfires are allowed in April to October each year, but bringing your firewood is a must. All campsites are clearly marked. There is a general store about 10 mins from the main entrance to the Park, which sells firewood, ice and general supplies. Handy if you have forgotten something at the last minute. Other campsites we have visited within the park (but not stayed) are Tapanappa which has drop toilets and great views of the ocean. 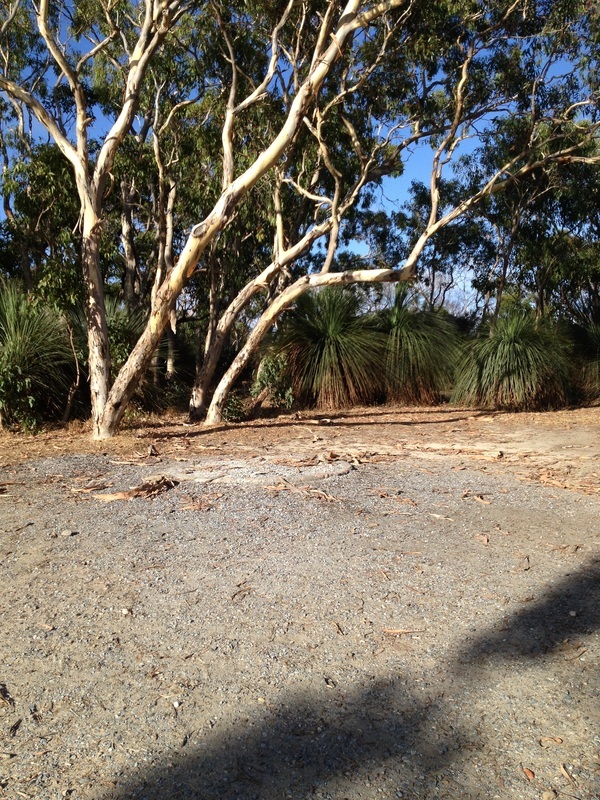 Campsites are protected from the wind by low lying mallee scrub. Good privacy between sites. We have seen this site very full on a Saturday morning, when large groups have taken over the entire area. Because of the proximity to Adelaide, many come down to secure favourite spots on the Friday (so keep that in mind). Note: Bookings now required for all sites, so travelling to Deep Creek and not finding a spot as mentioned above, is going to be a thing of the past. Only if you have booked a site, can you stay there. Cobbler Hill Campground (10 sites) is the nearest campground to Blowhole Beach (picture above), a picturesque beach, accessible via a LONG walking trail or by 4WD access only. We did start the walk, but it proved too far and too steep for us on that day, though since then some members of the family have done it! It's for experienced and very fit walkers only. The campground is small, and lacks some of the privacy of other campsites in the park. Blowhole Beach is not a safe beach for children to swim - there are rips, rocks and reefs, and is a remote beach, so help is some distance away. This beach would suit those wishing to fish more. Outlook from campsites at Stringybark Campground. Apart from the kangaroos mentioned above, at Trig we have encountered foxes at our camp each night - put away your garbage securely (lock in the car). We have hung the garbage from a tree, and have had the fox jump and pull it down in the middle of the night. Rabbits are everywhere and echidnas can be seen in nearby bush if you are quiet and patient enough. Kookaburras and crows are the birds which will rouse you from your sleep early each morning. We have done a number of walks with our children, the youngest being 5 at the time. The walk to the Cove from Trig is long and steep and uneven in many places, but the view at the bottom is lovely and a good spot to have a rest and something to eat. Going up the hill will test your child's fitness plus your own if you are not a regular hiker. On a warm day, you will need plenty of water to get through this hike. Doing the hikes is a great activity at Deep Creek as once you have set up camp, there aren't a lot of other activities to do. So if you are feeling a bit restless and have the stamina and are prepared for a hike, we recommend it!